What’s new in Open Shelf? 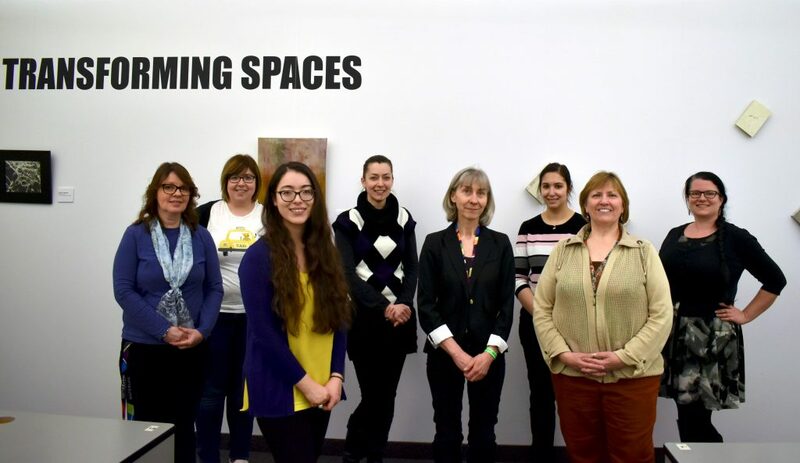 On Friday, February 22, University of Waterloo Library launched its first art exhibition opening: Transforming Spaces. This is the first exhibition for the Art in the Library pilot project team. Over the past two years, University of Waterloo Library has dramatically transformed its two main branches – Dana Porter and Davis Centre libraries, with new and re-furnished staff and user spaces. Along with these changes came the desire to use Library spaces to highlight the creativity of the University’s community. What this would look like, however, took two years of planning before the first iteration – an exhibition space in the Davis Centre Library – was realized. Project lead and coordinator, Carmen Peters. The Art in the Library team worked with Legal Services to craft an artist contract. This aligns the project with exhibition best practices used in the art community as well as clearly defines the responsibilities of both the artists and the library. In addition, the team commissioned the installation of a hanging wire structure in a large silent study room in Davis Centre Library, and coordinated the preparation of the space for the installation of artwork. This location was chosen for a few reasons: it is an enclosed, quiet study space where students typically spend many hours studying; it has a large blank wall, perfect for hanging artwork; and opposite to the artwork is a large glass wall facing the library’s entrance – any visitor to the library could easily view the artworks without disturbing students studying inside. The cycle of each art exhibition will span three terms, from the first call for submissions to the final take down of the installation. Allowing artworks to hang for two terms was a conscious decision, in light of the co-op cycles at Waterloo, giving all students a chance to view each installation. 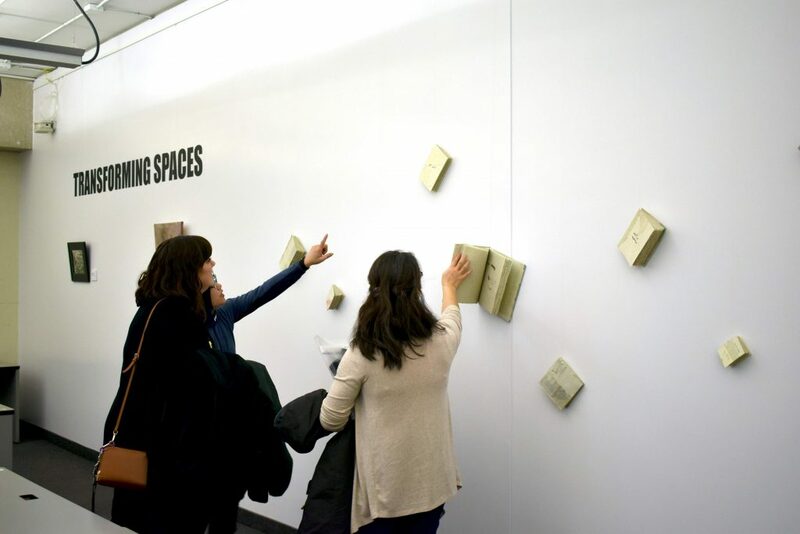 Exhibition visitors explore the interactive, hand-made book installation entitled “Discard Library,” created by Hilary Hung. The entire University community is invited to participate in the Art in the Library project, including students, staff, faculty and alumni. 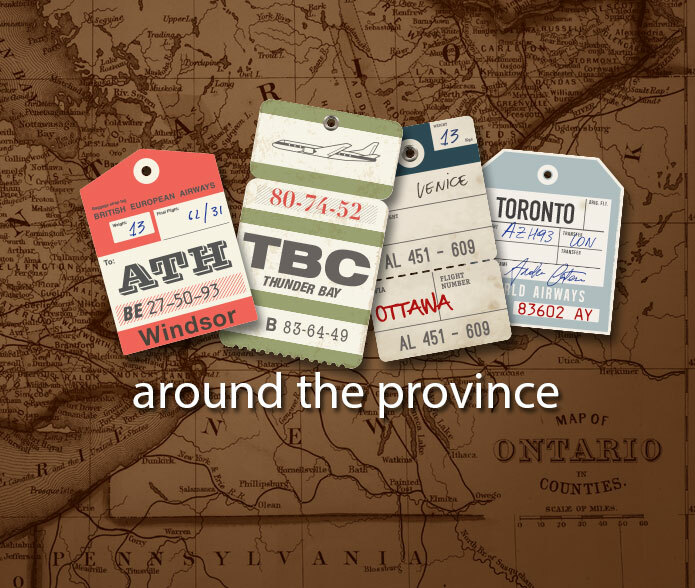 Artists chosen for the first installation included University of Waterloo staff, current students and alumni, with artworks ranging from paintings and drawings, to a sculptural installation. 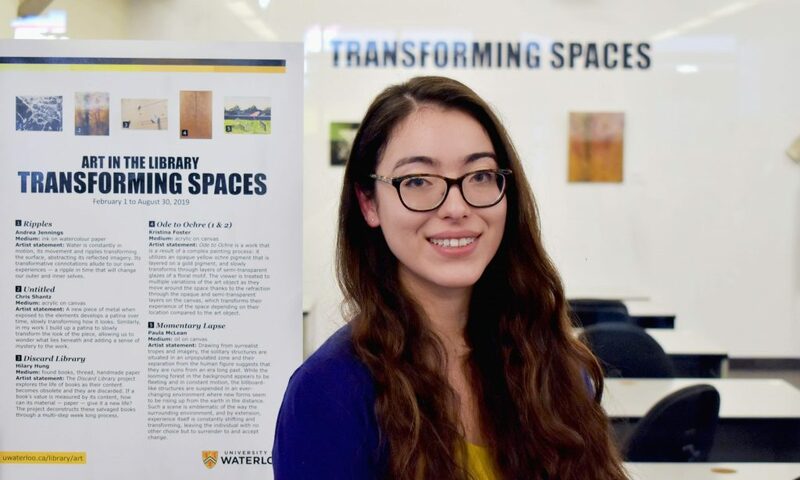 The project’s aim – to incorporate and display creative work in the library’s space – also supports the strategic themes of University of Waterloo and the University of Waterloo Library: experiential education, vibrant student experience, new spaces for new times, and new skills for new times. It was an exciting day on Friday, February 22, as the Art in the Library pilot team was able to celebrate the opening of the exhibition with the artists, library staff members and the campus community. From the success of the opening, it will be exciting to see what new artworks will be on display in the fall of 2019. 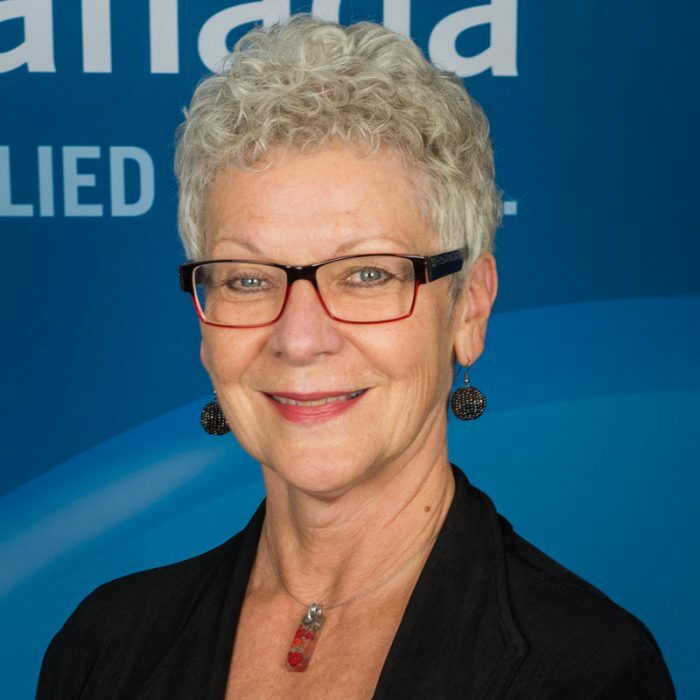 Carmen Peters is Library Associate, E-learning and User Experience at the University of Waterloo Library and is expected to complete her Masters of Information from the University of Toronto in the spring of 2019. She can be reached at cpeters [at] uwaterloo.ca. Have you ever participated in an international outreach program like the Librarians Without Borders project in Guatemala? 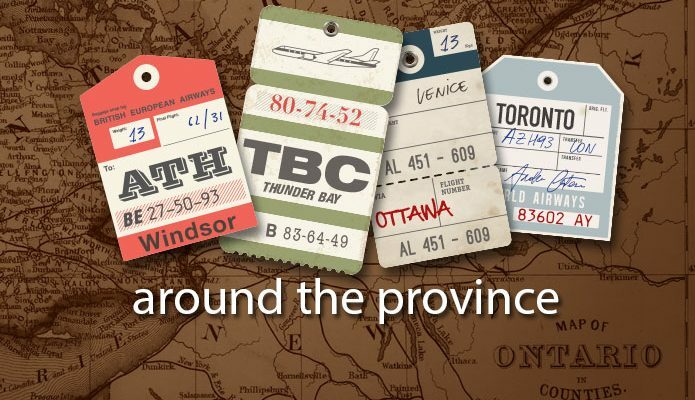 Subscribe to Library Land Loves, the OLA podcast!